If you’re seeking to change how your kitchens and bathrooms look, or maybe have an overall house renovation, Spenwell General Builders is the one you’re looking for, we can work on your property from start to finish. We cover Woodford E18, East London and other regional areas like Romford, Dagenham, Stratford, Chigwell, Walthamstow, Epping, Barking, Hainault, and other nearby areas in Essex and East London. We have many years of knowledge and experience and we can guide you to make your ideal home a reality. 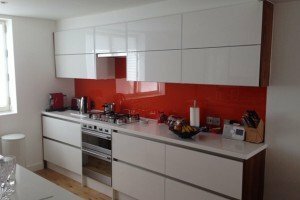 We’ve worked on different styles, whether it’s contemporary or conventional kitchens and bathrooms, we will convert and renovate where it’s required. Our competent group will be here to help you 24/7. Call us now at 07581181235 or at 02082522663, you can also send us an email at spenwell@hotmail.com for a fully guaranteed no obligation quotation. Here at Spenwell General Builders, we have a wide collection of building services related to renovating and customized installations to your kitchens and bathrooms. In case you are thinking of renovating a couple parts of your property, then there’s no reason to go through the hassle of looking for another company or contractor as we provide other building services like gardening, electric wiring, drainage and guttering, and a couple of more. If you’re looking for nearby builders or contractors you can trust, then we are here to help our customers in Woodford E18, East London and other regional areas like Romford, Dagenham, Stratford, Chigwell, Walthamstow, Epping, Barking, Hainault, and other cities in Essex and East London. Contact us for inquiries at 07581181235, 02082522663, spenwell@hotmail.com . We do offer a no-obligation estimate for all our services.